Picking out the right name for your dog is important. You need to put some thought into a name that means something to you. The name you give your puppy is the one he carries the rest of his life. You’ll kick yourself if you hang a name on your dog that you don’t care for later. I like dog names with two syllables, as it’s easier to get your dogs attention. Your voice inflection on a two syllable word can convey many emotions, from praise to command. Dog names really change over the years and run the gamut from images of bravery to silly names that connect you to places in your heart. Over the years Spot, Fido and Checkers have been replaced with catchy names like Rocky, Bubba, Bailey, Molly and Sasha. I’ve compiled what seem to be the top 99 dog names over the last few years. I’ve found that veterinarians and insurance companies are the best place to find this kind of information. Where does your dog’s name rank? Do your homework and think about a name the whole family will be happy with the rest of your dog’s life. Although picking a pet name is not quite as important as picking out your childs name, your canine pal is still a member of the family and his name is going to be used around your house, every day, for years and years. Pick one that has the right feel and involve the rest of the family in the decision. That way, peace and harmony are achieved by all (especially Mom). My name is Steve Benedict and I love working with dogs. If you’re interested in finding answers to many canine questions, visit my web site, Dog Food Naturally http://www.dogfoodnaturally.com. It’s evolving as great place to find answers to everything from all natural dog food to stores for hard to find dog products. 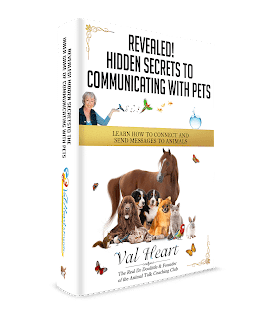 NOTE FROM VAL: Read my article “Do You Know Your Animals True Name” before deciding on your dog’s new name! This is a great list of names for a good dog, I think “Cosmo” is a really cute name.